There are 81 reviews of Vintage. This starts of as an obviously cheap generic spicy boozy fragrance but settles down into a slightly more classy wearable smoky tobacco boozy but still not good enough for me to wear. Nice try. John Varvatos has had an extremely influential fashion career, albeit in the shadows, being responsible both for inventing the boxer brief for Calvin Klein, and putting Mark Wahlberg in them for those now-infamous 1992 ads; he went on to invent the Polo Jeans brand for Ralph Lauren before founding his own menswear house in 1999, being something of a contemporary to Kenneth Cole, but with a Detroit downmarket lean to his brand image at first. Since then, John Varvatos has become something of a "Tom Ford Lite", especially with his fragrance lines, which follow mostly classic masculine lines and themes. Nowhere is this more true than with Vintage (2006), the follow-up to 2004's eponymous fragrance. The debut scent introduced the now-standard Varvatos bottle design, and the mix of new and old for which the brand has become known, but Vintage thoroughly embraced the old-school (and it had better with a name like that), being a huge nod to fans of clean masculine powerhouses of the 80's a la Guy Laroche Drakkar Noir (1982) or Sung Homme (1988). Vintage is a hybrid fougère chypre that is really just a mossy monster fougère that had leathery chypre elements tacked on, riding in the "Custer's Last Stand" of retro-chic fougères alongside Rive Gauche Pour Homme (2003) and Cabaret de Grés Pour Homme (2004). We were seeing ozonics die and male gourmands flounder in the designer space while the battle royal commenced between Iso E Super citrus woody smells like Yves Saint Laurent L'Homme (2006) and 2nd wave aquatics like Nautica Blue (2006) when Vintage hit, so I'm honestly surprised it survived, because Cabaret sure didn't, and Rive Gauche Pour Homme became a "La Collection" premium exclusive due to slowing sales. 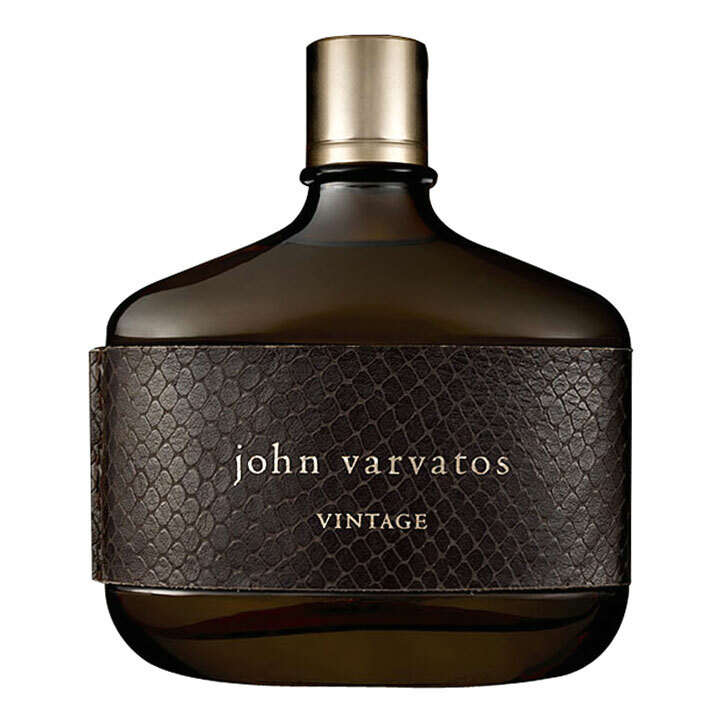 John Varvatos Vintage opens with a lovely soapy juniper, bergamot, santolina (chamomile), lavender, and basil accord, underpinned by a lighter version of the moss accord found in Drakkar, and similar ilk such as Duc de Vervins (1986), and Lomani Pour Homme (1987). Vintage never reaches the depth of moss that Eucris by Geo F Trumper (1912) hits, especially in post-IFRA bottles, but it's still a huge throwback accord which is instantly recognized by old fragheads. Rhubarb, quince, and wormwood are also blended in to darken up the mix, likely in lieu of oakmoss, and the level of composition here from house perfumer Rodrigo Flores-Roux is impressive. He's worked with other designers and even Avon, but he's mostly been in the niche realm outside Varvatos, which is evident by the unhinged note wizardry here. The middle of patchouli, balsam fir, and orris savon is countered by a hit of jasmine hedione, marrying soapy green to floral effervescence. The base of Vintage is incredibly dense with it's oakmoss, tonka, suede, and even tobacco, but also deceptively light and clean thanks to a small dab of dihydromyrcenol to submerge the whole thing in just a slight aquatic veneer. A final cedar note emerges on top this masculine fougère/chypre soapy/leafy/leathery/mossy tug-of-war at the very end, making Vintage a true woodsy aromatic but only at it's final moments on skin. It's quite a ride from tip to tail, and performance is moderate but long-lasting. Did I mention all Varvatos masculines come in a 4.2/125ml size? I'm glad they do because I'd definitely want to make regular use of this puppy during work weeks or weekend running when the weather is moderate. The stuff is just comfy, plain and simple. Love him or hate him, Varvatos brings a lot of artistry and old-school charm to the mid-tier designer game, and out-Polos Ralph Lauren at his own game with a solid catalog of masculine-looking, homogeneous, identifiable, yet uniquely-decorated bottles that actually tell appropriately of what's inside. Vintage is the nod to the mature gentleman that never really moved into the 90's or beyond, but also has enough modern edge to be appreciated if stumbled upon by a younger man. Guys that can't hang with the soapy mossy/woodsy fougère theme can go a step back to the original Varvatos or skip ahead to something like Artistan (2009), or further up in the Artistan series, and even the JV x NJ (2018) collab with Nick Jonas, which smells of Y2K ozonic youth nose candy all over again. For older guys looking to just dab their toe into newer designer styles, this scent might also act as a nice bridge between old and new, while for me personally, John Varvatos Vintage seems like an economic and enjoyable alternative to all the old discontinued 80's gems I anxiously gloss over for fear of "final depletion" if I use them, so a bottle (or two) of this is destined to come home with me so I can smell like "what I want" without fear of using up what I can't easily replace, and that for me is the biggest reason I'd tell a vintage masculine fragrance collector to check this out. There isn't a bunch of ambroxan or norlimbanol here, nor much Iso E Super, so you won't feel like you're committing adultry on your hardline vintage principles by wearing it. For everyone else, it's just a damn good office or casual scent in a classic style that won't break the bank. Cheers for Varvatos on this one. This is the first cologne I bought in many years after having fallen out of the habit. I wanted something masculine that reminded me of the strong frags I grew up smelling and wearing in the 70s and 80s. It's not a "green" scent like vintage Polo or Tsar but if you liked those you might like this. I did some research to see what would be an affordable "starter cologne" and Varvatos Vintage doesn't disappoint, especially considering I only paid $25 for it on eBay. It's got spicy-woody-leathery scent to my (uneducated) nose. It smells masculine and pleasant and comforting and I believe one of the spicy scents in the mix might be rhubarb. It seems better suited to evenings and cooler weather than warm days. It's no longer sold in stores but then I wouldn't be thrilled at paying the full price of $90 for this. However at only $25 or so online a 4.2 ounce bottle is a very good value for something wearable. It doesn't appear to project much or last long, but it's inexpensive, so you can always use more or touch it up without worrying about the cost. I like it quite well and enjoy wearing it in the evening. EDIT: I discovered it actually lasts a long time on my clothes -- if I spray it on my shirt I can still smell it there the next day! So, considering I bought it in the LA Winter when my skin was drier than usual, perhaps that's why it didn't appear to last long on my skin. It might perform better on me in normally-humid weather or with a moisturizer. I really enjoy the fragrance, it's one of my favorites, though I find I never use it in the daytime. You had me at juniper berries. Add in fir balsam, tonka, tobacco and suede? Right up my alley. The Santolina adds to the herbal opening of the juniper, and the patchouli and jasmine in the heart notes round everything off nicely. The jasmine--not a traditionally masculine note--works the same way that the gardenia does in Halston's Z-14, adding a nice floral counterpoint to the battery of masculine staples. And this is a very masculine scent, indeed, especially in the dry down. The next morning, you are not showering off the dregs of the base notes; it is pure testosterone coming off in the steamy water. I generally think that John Varvatos' fragrances are very good designer offerings--as good as any out there and Vintage is the proof of that. An old school masculine powerhouse, revamped for the modern day. Wife approved. This cologne is for men, not boys. The tobacco, suede, and rum really come through, and it's got a little bit of sexiness to it. I see this fragrance working for older men, at least 40+. What type of guy wears this? Rugged types. It's definitely for cold weather. I myself don't like wearing it because it's too spicy for my nose, but when I do wear it, I'm smelling my wrist every so often to get a "hit", so there's something good to it. However, I feel that it's a little over bearing at times. I'm tempted to give it a neutral rating, but objectively speaking, I think it's a great fragrance, just not one that works for me. It's similar to John Varvatos' original but that one can be worn by younger guys in a club. This is the spicier version of that one, for the older guy who travels the world, flies his own planes, does stuff like that. I ordered this on a whim based on the reviews. It's not that it's a "bad" fragrance in any way...it's just that I honestly couldn't get past the fact that it reminded me of Polo. The original Polo that I wore in high school. I tried...I tried. Couldn't do it. John varvatos Vintage Cologne REFILL .05oz. John Varvatos Vintage 4.2 oz 125 ml Men edt Eau de Toilette New in Sealed ! 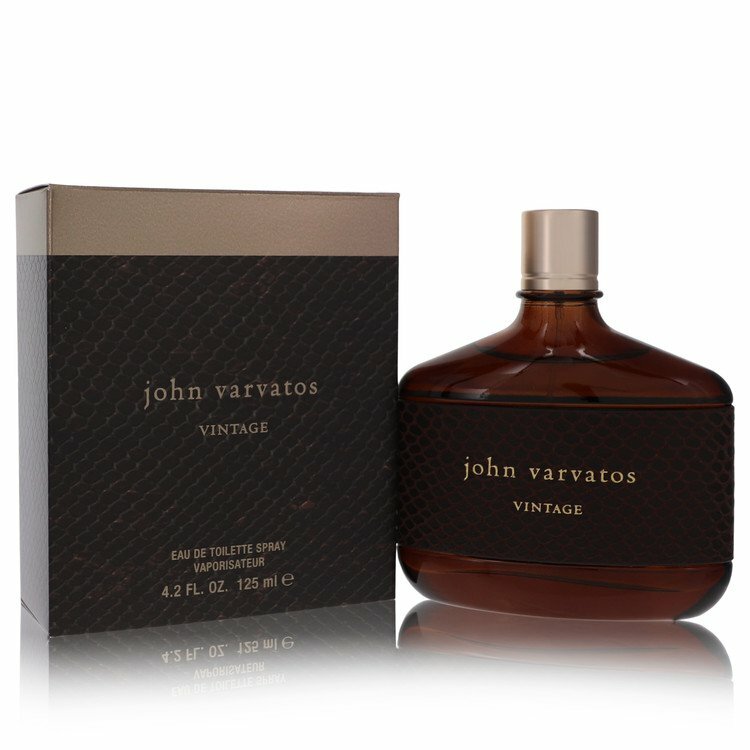 Cologne Similar to John Varvatos Vintage? CK One Shock=John Varvatos Vintage?